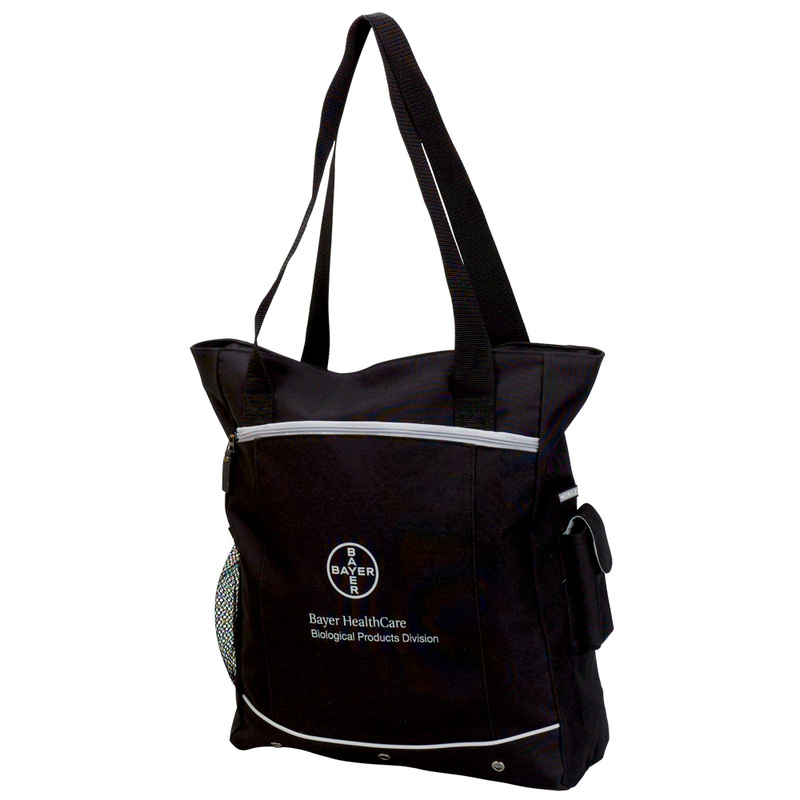 Made of enriched, brushed polyester, this extra-large fashionable tote will blow you away with its functionality. Inside the front pocket, you'll find loads of additional pockets for a PDA, cards, and pens. Its fully-lined main compartment features a top zipper. Mesh and phone pockets are located on the side, with an ID pocket on the back. It's perfect for conventions, shopping or traveling! Pack Info. : 24 pcs / 23.00 lbs. Pack Note: (Actual Weight) / 18" x 18" x 6"